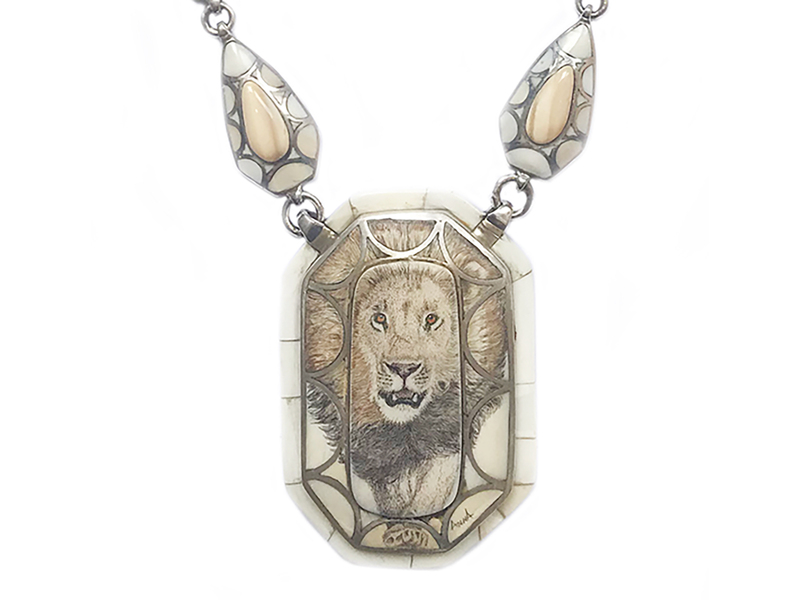 One of a Kind Scrimshaw Lion Necklace handmade by the amazing Danny Stewart and wife Anna Stewart. This incredible necklace features hand cut pieces of fossil walrus tusk set in argentium silver. The Lion is scrimshaw is done by the fabulous Anna Stewart. This incredible piece of wearable art is a true masterpiece. 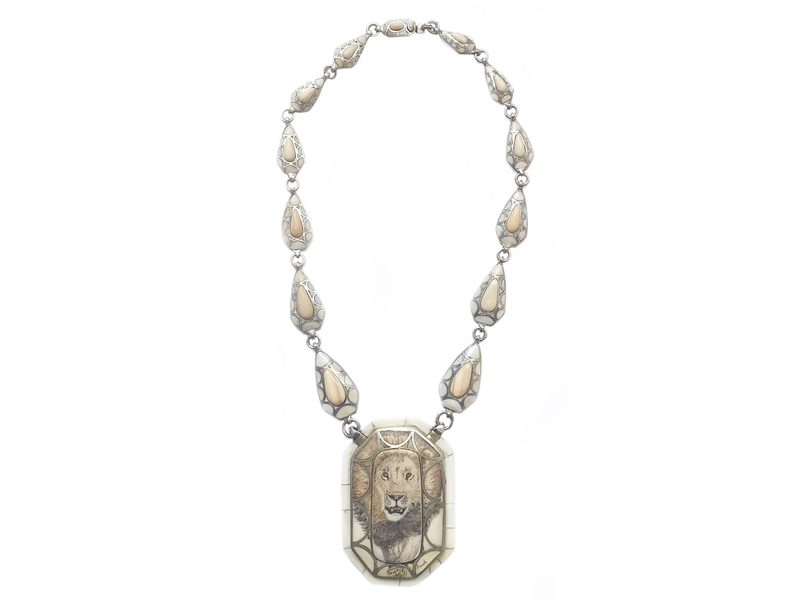 The necklace is 21″ inches long and the lion portrait is 3 1/4″ inches long by 2 1/4″ inches wide. This beautiful material originates from Alaska and is available in a rough finish. The colour range is creamy ivory with brown outer skin. This is an all natural material with a Mohs hardness of 4. 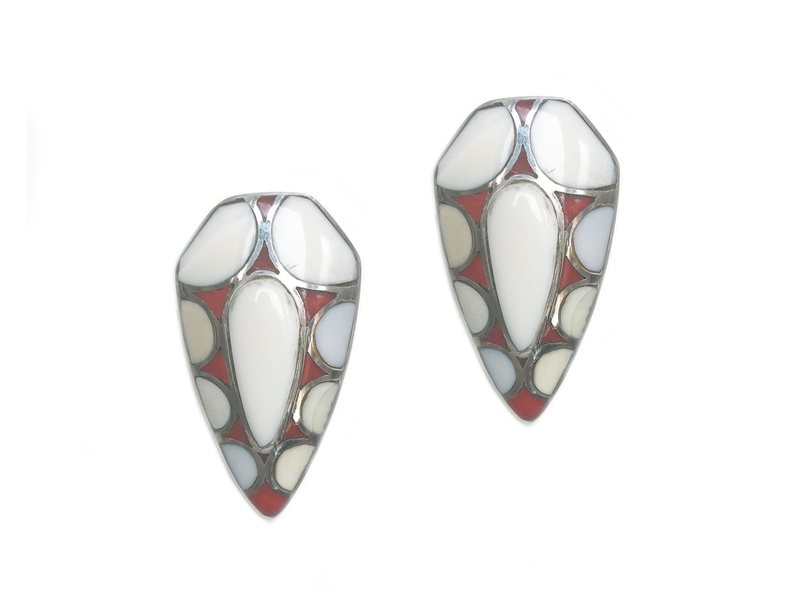 Fossilized Walrus Ivory is excellent for inlay, cabochons, bead-making and carving. One of the few types of ivory available today that does not endanger a living animal; it is found in melting glaciers in Alaska and the Siberian tundra, and comes from either walrus, mastodon or mammoth that were sacrificed for food and tools in ancient times, when they were not in any ecological danger. Prehistorically, this material was utilized by the Eskimo to make tools and utensils; from harpoons to sled runners, ivory was considered a gift from the gods. Having such a wide range of skills and many years experience allows New Mexico artist Danny Stewart the luxury to remain true to the vision, rather than limited by a narrow range of abilities. 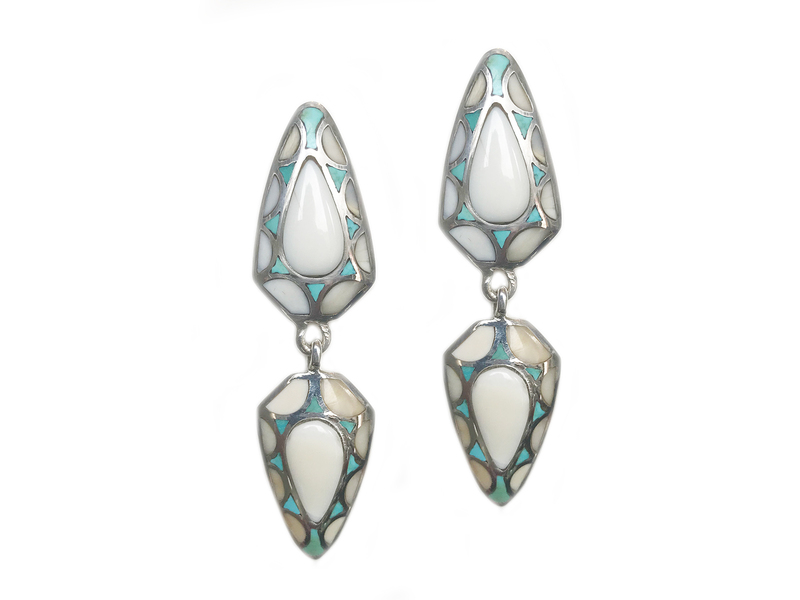 Stewart has won blue ribbons in every competition he has entered including First Place in the 2000 New Mexico Jewelers Association ‘All That Glitters’ – Silver Jewelry Design competition which was displayed at the New Mexico Museum of Natural History.